GO GREEN CALENDAR — The Hudson County Improvement Authority sponsors an annual Go Green Calendar Contest. 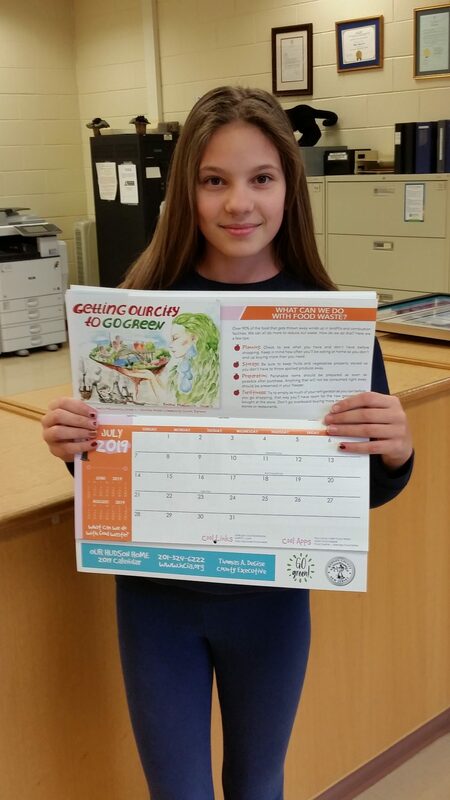 Nicholas Oresko Community School student Emilia Mikhnevich was one of twelve First Place winners whose artwork as selected by the HCIA 2019 Go Green Calendar. Emilia’s artwork entitled “Getting Our City To Go Green” was selected for the month of July.